Think you have a cool hairdo? Maybe, but it's nowhere near as cool as "net head." 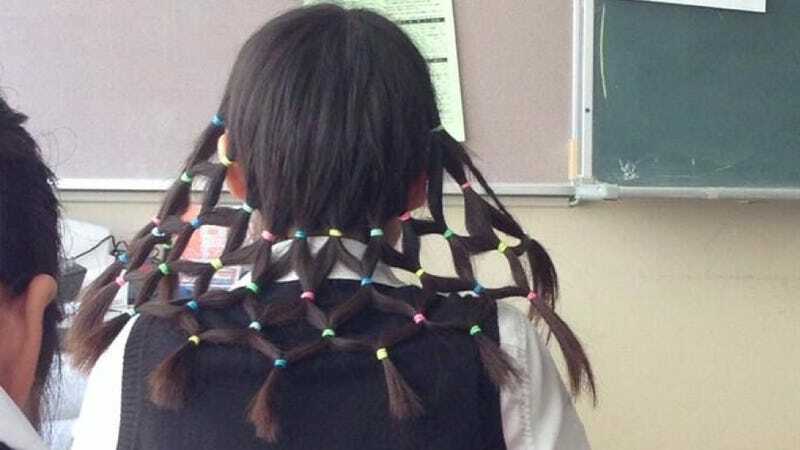 Recently, Japanese Twitter user Miya tweeted the above photo, writing, "The person two seats in front of me [has] an amazing hairdo." The style doesn't seem to have a name yet, but let's call it "net head." Because the 'do, while hardly mainstream, looks like a net. Net head should totally hang out with ripe tomato head.